So having found quinoa (and loving it!) the time had come to try kale – another superfood! Once again a bit behind the times! There are so many different ways to use kale – as a salad, baked as chips, in soups, risottos and pies. In fact, a lot of people are replacing their spinach, lettuce and even cabbage with kale, so the recipes are endless! Kale is being called things like the “queen of greens” (just one name I came across that I liked) due to its many health benefits. To me kale has a strong flavour with thicker, denser leaves compared to spinach, which would explain why people bake chips using kale. For me (and this is just my opinion), I’m not sure if I’m a huge fan of the taste of kale by itself, but I’d be happy to eat it all the time when it’s mixed with other ingredients. There are plenty of recipes using kale and quinoa, but when I found inspiration through this recipe, I knew that these patties were what I had to make as my introduction to quinoa. 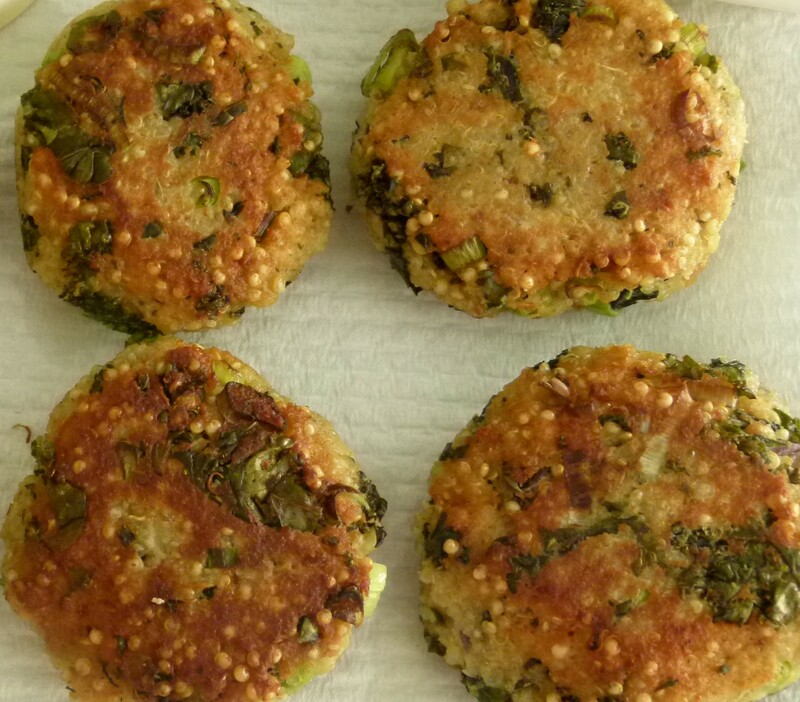 Hope you enjoy my adaptation of these quinoa and kale patties as much as I do. The packet of quinoa I used, makes one and a half cups. If you aren’t able to get your hands on packet quinoa or you prefer cooking the quinoa from scratch, make enough to equal one and a half cups. Check seasonings and adjust to personal preferences. I’d add extra lemon zest and dried thyme as when all ingredients were added together, those flavour were lost. But saying that, this recipe is perfect as it is. I just love loads of flavour! What are your thoughts on quinoa and kale together? What were your favourite toppings or condiments you tried that made the patties even more amazing? Would love to hear your ideas so I can try new something new next time I make them. In a medium saucepan, cook the quinoa to packet instructions. Mix in the garlic at the same time. While quinoa is cooking, place a large saucepan with steamer on to boil. Clean the kale well and remove stalks. Place the leaves in the saucepan and steam for 2-3 minutes, until leaves have wilted by half. 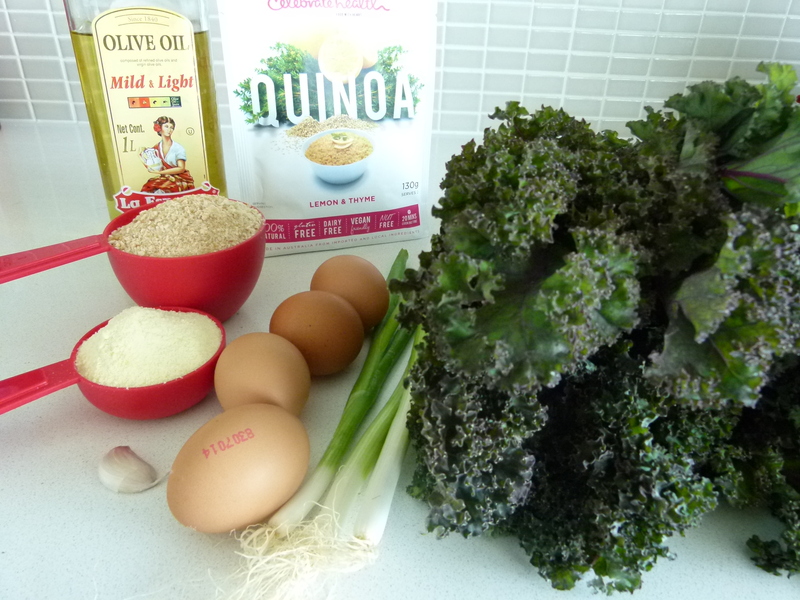 Carefully remove the kale, with tongs, into a Chux-lined or muslin cloth-lined colander. Allow to cool before squeezing excess water out. Roughly chop and add into a large bowl with pattie ingredients. 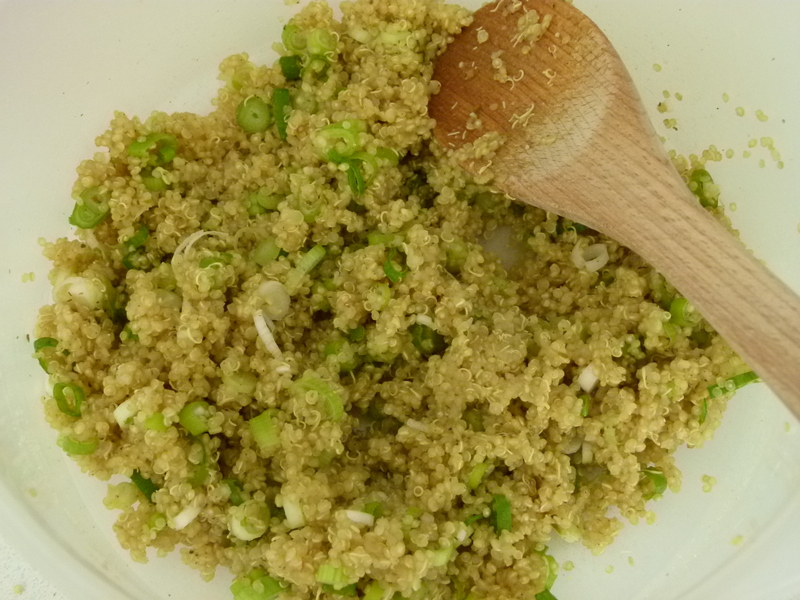 In a large bowl, mix the quinoa and spring onions together first, ensuring the quinoa is cool. 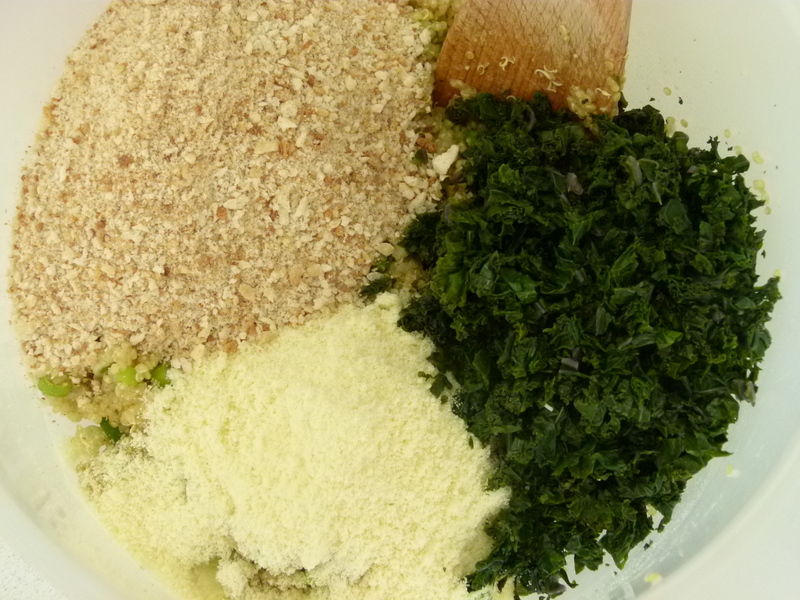 Then continue to mix the remaining pattie ingredients again ensuring the kale is cool before adding. 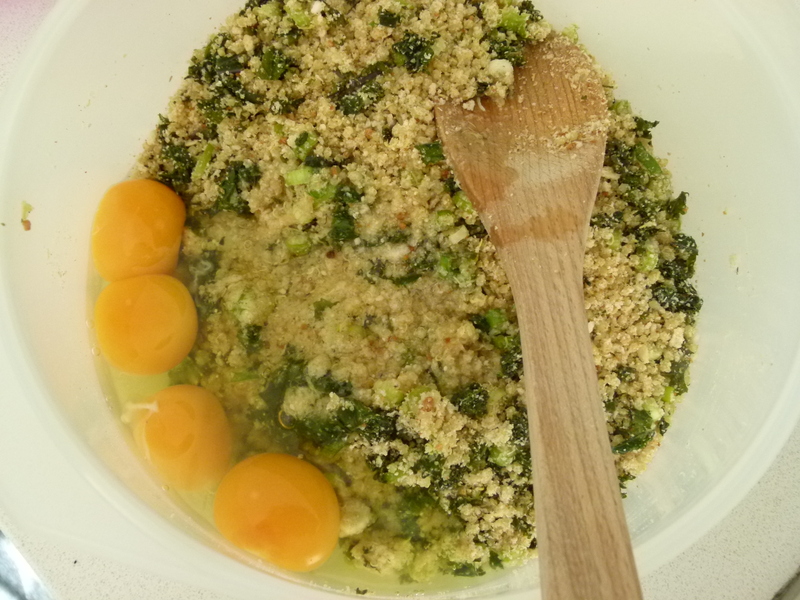 Add eggs to the mixture last. Form patties to desired size – I used a dessert spoon to measure, the rolled them in my hands and flattened them when in the fry pan/skillet. Place oil in a large fry pan or skillet on medium-high heat. Place patties in once oil is hot and flatten slightly with the back of a spatula. Cook for 4-5 minutes each side or until golden. Remove and set aside on a paper towel lined plate – to remove any excess oil. Repeat the process with remaining pattie mixture until all mixture is used. 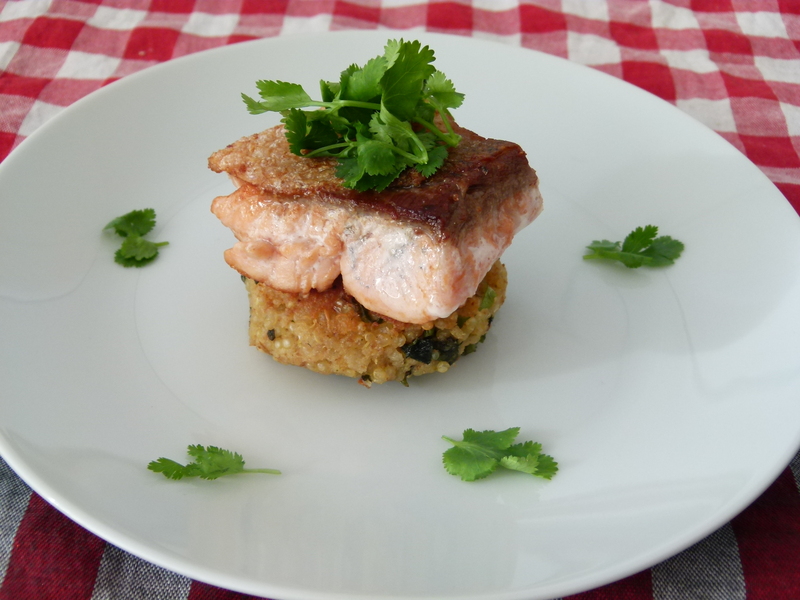 Serve with your choice of toppings – we had our patties topped with crispy skin salmon, coriander and lime juice. If cooking salmon with your patties, cut down on the cooking time and cook the fish when cooking the patties. Please enjoy this deliciously, healthy meal!! I love this recipe. Haven’t made it for a while, so had to go back thru your blog to remind myself! Thank You and have a great 2019! 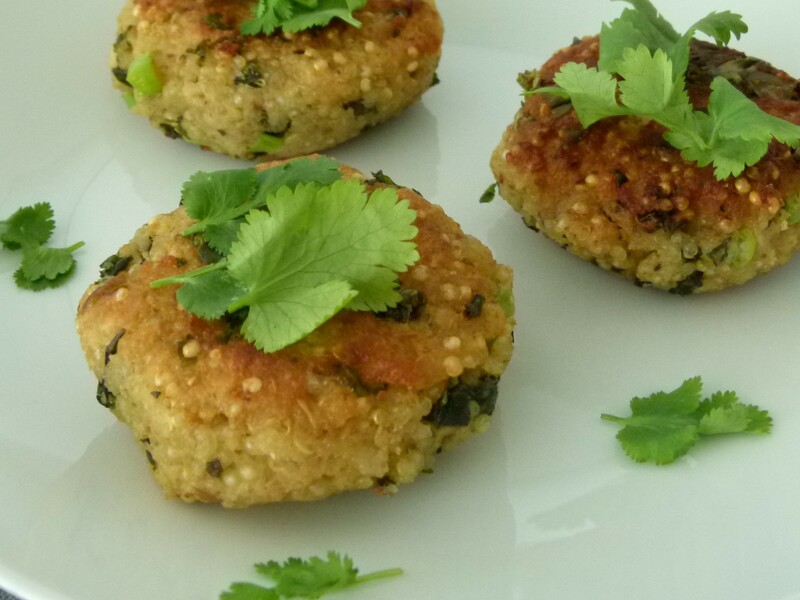 Beautiful and healthy quinoa patties! I love that you added kale in them. I’ve never tried that before. Looks delicious!